Come, join us in the fun of making Music! Call to reserve your space!!! At Kids at Music, LLC, we offer kids and adults the opportunity to develop and be creative . All of our activities enhance the expression and creativity development of all children and adults. Kids and adults learn best when they are having fun! We tailor our lessons to each age group unique learning stage offering them a stimulating and loving atmosphere in their learning process. 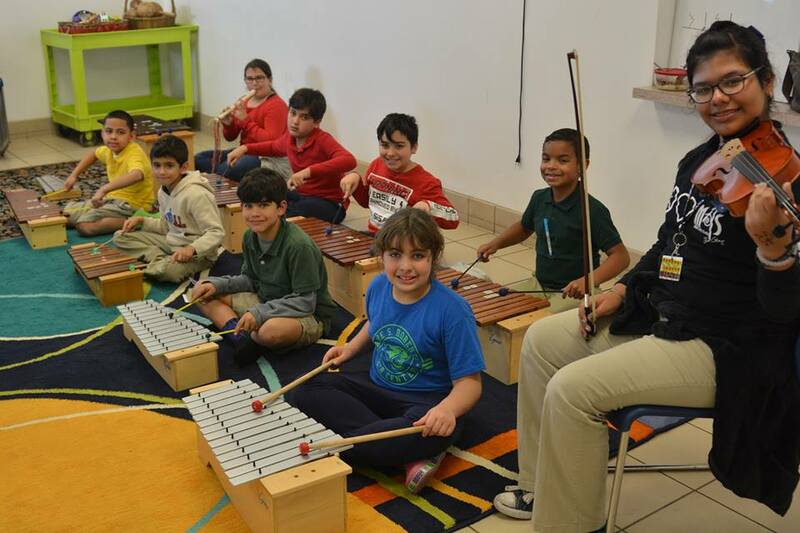 Kids and adults enjoy the hand-on activities that Kids at Music, LLC provides daily! Besides developing the musical abilities, this classes help to develop the brain of the children, social development, concentration, attention, creativity, memory, large and fine motor skills, observation, language development, security and coordination. Fine Arts education heightens self-esteem, develops problem-solving and social skills, allows for expression and creativity, develops self-discipline and responsibility, increases motivation to learn, provides fulfillment through productivity creates cultural and historical awareness, improves academic performance, and develops motor skills. Early Musical training helps develop brain areas involved in language and reasoning. Arts & Crafts develops fine motor skills and ability to make aesthetic judgments. Dance provides mind and body benefits, muscle strength and flexibility, sense of balance, agility, coordination and correct posture. Drama, by its very nature requires that the children be put into circumstances physically, mentally and emotionally ­ that are outside their understanding of how things should be. This helps them to grow as a person; it develops good oratory skills, voice projection, clear speaking and quality of empathy. Designed by Free Wordpress Themes & Templates.